It is that time of the year again and Square Enix has put every premium (and the free to start with premium unlocks) Final Fantasy game on discount for a limited time. Today’s sale has all the mainline ones on iOS featured and the Dimensions games alongside the superlative Final Fantasy Tactics: The War of the Lions ($13.99) and Final Fantasy Tactics: The War of the Lions for iPad ($15.99). If you’re not a fan of the old school games and only enjoyed the numbered PlayStation entries and got into the franchise with Final Fantasy VII ($15.99), this sale also has the games you’ve been waiting for. Before getting into the games themselves and the discounts, I’m conflicted with how Square Enix has handled their flagship franchise on iOS for a few reasons. We still don’t have VIII or X and those two are the only mainline entries missing for the pre PS3 era. Square Enix is also pretty terrible with updates for these relatively expensive ports and a game like Chrono Trigger still hasn’t been patched on iOS or Android while the PC version has received multiple fixes. They have been good with controller support though. Now onto the games. Final Fantasy IV ($14.99), Final Fantasy V ($14.99), and Final Fantasy VI ($14.99) are easy recommendations for picking up. I’m not fully sold on the 3D remake they gave IV on the DS which eventually got ported to iOS and Android but the game itself is fantastic. Final Fantasy IV: The After Years ($14.99) on the other hand maybe worth a skip unless oyu absolutely love everything about IV and want more. VI is something most Nintendo SNES gamers will love and the port is fantastic outside the visual changes that are hit or miss. V isn’t remembered as fondly but it deserves a purchase for the job system and for Gilgamesh. The port quality is basically the same as VI. You probably will end up picking up Final Fantasy I ($7.99) and Final Fantasy II ($7.99) just to complete your collection but they are still worth playing if you can stomache a lot of the old school design decisions. I’m not a fan of Final Fantasy III ($14.99) (and iPad ($16.99)) at all and III is from the Square Enix era of iPhone and iPad games being different apps on the Store. 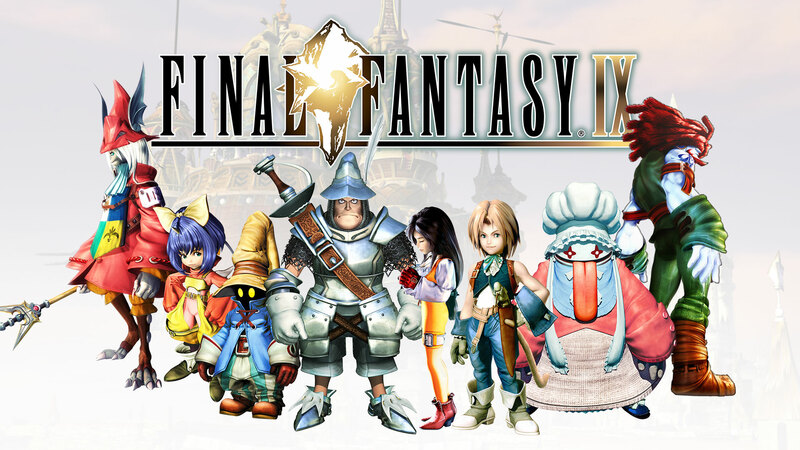 It feels funny saying “new school" but the fans who started with VII and the PS1 games can also pickup both Final Fantasy VII ($15.99) and Final Fantasy IX ($20.99) discounted in this sale. Out of the spinoff games, Final Fantasy Dimensions (Free) is free to download and you need to unlock the game through in app purchases for all the chapters or individual chapters. The whole game unlock is currently around half off. The follow up, Final Fantasy Dimensions II ($14.99), is also heavily discounted and this is a premium game. A lot of these mobile ports ended up on other platforms like Steam and PS4 but the one that plays best and is a brilliant game overall is Final Fantasy Tactics which is also pretty heavily discounted. If you’ve been waiting to fill in the gaps, now is the time to stock up. My wish for this holiday season (I doubt they will release either sadly) is they finally drop Final Fantasy VIII on the store so I can peacefully sleep at night knowing the excellent Final Fantasy X is next.